The Activity feed is the first thing you'll see. It lets you view how active you've been during the day, and you can breakdown this information either weekly and monthly. If you've been inactive for a long period, you'll spot an icon on your activity dial that indicates your precise level of laziness. Below this you'll discover a breakdown of your activity by time. You'll be able to view how long you've been sleeping, sitting, standing, walking and being more energetic such as going for a run. It's a great way to get a feel of how active you are during the day. Scroll below and there's more information on how to reach your daily goal. Anyone fancy 7 hours and 18 minutes of playing darts? There's also a calorie, step, active time, and sleep breakdown as well. In addition, the app will also leave notes to highlight times that you haven't been particularly active, or if you've been sitting for too long during the day. Tapping the dropdown menu icon in the top left-hand corner allows you to view a more simplified feed of your daily activity. From here you can set a training diary, view notifications and adjust hardware settings too. You can establish your daily activity goals, which will be broken down into levels and based on how active you are in general. You can also activate the smartwatch-style features including setting an alarm, smart notifications and set when those notifications are shown during the day and night. These features are pretty basic, though: notifications can be displayed, but with no indication of what they are or anyway to interact with them. It's also here that you set up the inactivity alert. This isn't a new feature – Jawbone has included such as tool for a while now – but nevertheless, the Loop 2's ability to provide a nudge with its built-in vibration motor when you haven't been doing much is useful. Overall, the Polar Flow app provides a good overview of your data, without really drilling deep into the analytical side of things. I think it could be simpler still, stripping away elements that don't really need to be there. But there' are some nice touches here. I'd like to say that the Polar Loop 2 offers something radically different to its rivals, but this isn't really what I've found in the several weeks I've been using it. Tracking accuracy seems fine, but the motivational features just didn't have the desired effect. Take the activity bar, for instance. As the bar fills up through the day, it will throw up the various activities you can do to achieve your target goal, along with the time that you need to perform that activity. This is exactly what happens when you sync the Loop 2 with the Flow app, although there's greater room to offer a few more alternatives. On the band it's just a little too easy to miss, or even ignore. Perhaps a more purposeful nudge from the vibrating motor frequently throughout the day would have more of an effect. 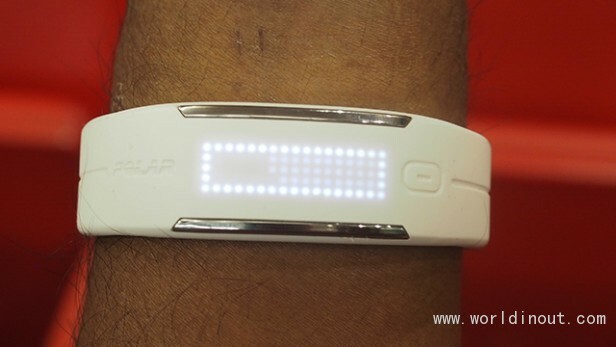 Daily tracking and sleep monitoring appears to be in line with other wrist trackers. Disappointingly, though, you can't track elevation. This is where you tend to burn off the majority of calories, especially if climbing the stairs or the escalator is about as energetic as you get. I put it up against the Jawbone UP2 and the Misfit Flash link for both sleep and step counting and here's how it compares. Arguably, the Loop 2's most unique feature is its support for external heart-rate tracking. You'd have to pay £20-30 for a tracker with one built in, but if you already have the chest strap kind with Bluetooth 4.0 support, you can save yourself some money. To pair, simply put on the chest strap, raise the Loop 2 near to it and tap the button on the tracker. It's as simple as that – I had no issues syncing the two. Offering real-time readings, it will tell you if you're in one of two different heart-rate zones: Fit or Fat Burn. If you tend to train in very specific heart-rate zones then it's likely that you'll be left underwhelmed by the basic nature of the breakdown. So what about smartwatch support? Again, it's all very basic. With such a limited amount of space to play with, there's no room for the kind of information that would stop you from reaching for your phone. Simply providing a notification of a message or offering caller ID as it scrolls through the display isn't particularly useful. The silent alarm is a nice addition, though, and much like Fitbit's version provides a gentle nudge in the morning. 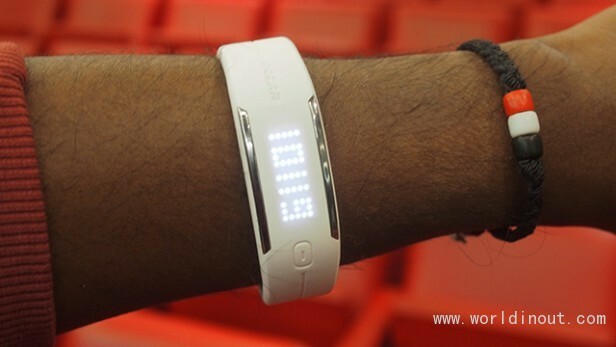 For battery life, Polar claims the Loop 2 should deliver up to eight days thanks to its rechargeable 38mAh battery. This will drop significantly to only three days with the smart notifications support turned on. I found that eight days to be accurate, with a couple days drop-off with the notifications turned on. These figures are with me wearing the Loop 2 all day and night, with four to five hour-long gym/running sessions a week. So that drop off isn't as drastic as Polar suggests on its website. But in all honesty, the smartwatch features are so basic that you'd be better off disabling them anyway. The Loop 2 charges pretty quickly, powering up from flat to 100% in around 30 to 40 minutes. Should I buy the Polar Loop 2? For Polar Loop owners, I haven't see enough here to warrant an upgrade. 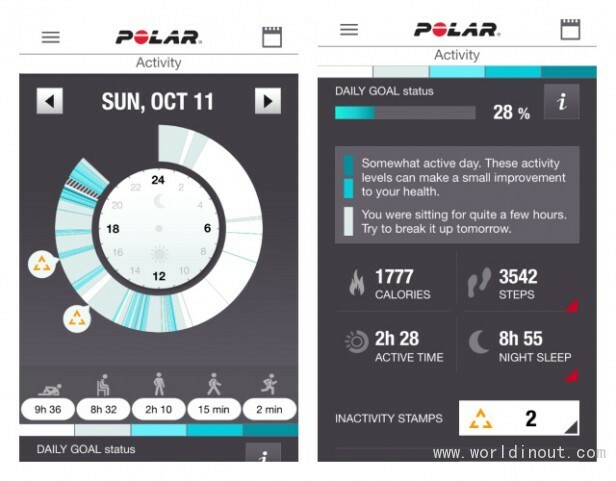 The extra software additions are pretty underwhelming and you'll still get access to the redesigned Polar Flow app, which is what really stands out. Otherwise, you're getting the same tracking and wireless heart-rate monitor support wrapped up in a virtually identical design. If you're looking for a fitness tracker for less than £100, I'd recommend going for the second-generation Jawbone UP2 – especially if you're not concerned about the heart-rate monitor support and don't mind relying on your phone to view progress. It's sleeker, offers more insightful data and plenty of third-party app support. The Fitbit Charge HR is a good fit for those who prefer to have support for heart-rate monitoring. It lacks the waterproof design and is a little more expensive, but in pretty much every other way it's a better option. The Loop 2 feels very much like an activity tracker that's striving to be more – but it just doesn't quite pull it off. 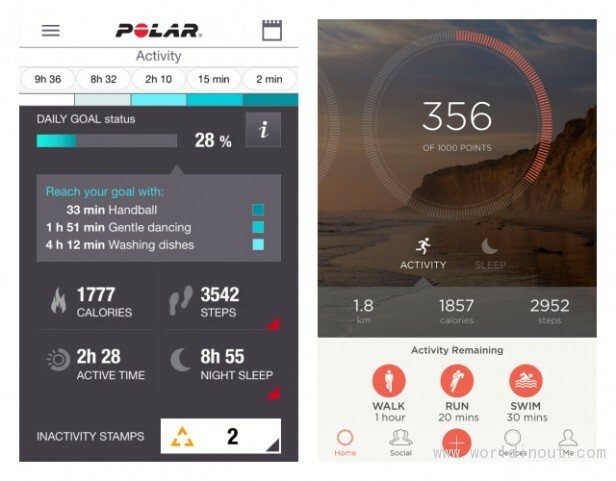 Maybe the newly announced Polar A360, which packs Polar's first optical heart-rate sensor, will be the answer. The Polar Loop 2 is a solid if uninspiring update to the original – I expect more from the next iteration of the Loop.